The Silver Dollar Galaxy (also known as the Silver Coin or Sculptor Galaxy, NGC 253, or Caldwell 65) is a spiral galaxy in the constellation Sculptor. It is currently undergoing a period of intense star formation. The galaxy was discovered by Caroline Herschel in 1783.It is described by Allan Sandage in 1961 as "the prototype example of a special subgroup of Sc systems". The Sculptor Galaxy is located at the center of the Sculptor Group, one of the nearest groups of galaxies to the Milky Way. 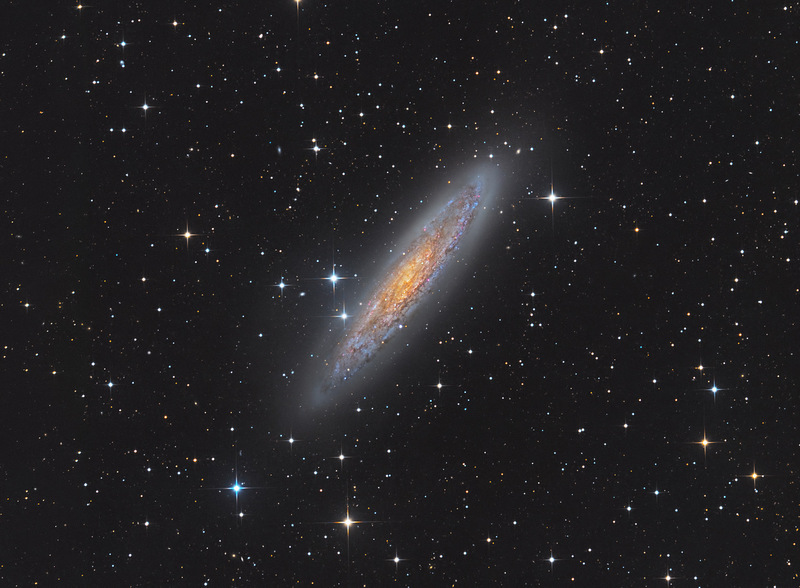 The estimated distance of NGC 253 is about 11.4 Mly (3.5 Mpc). Larger filed (four panel mosaic including the globular cluster NGC 288) can be found here .